It’s annoying. You’re stuck changing any auto-pay accounts or recurring charges you direct to your credit card number. And of course, you have to eye every charge on your account as suspect to make sure you’re not a victim of identity theft. It happened three times in 2018, and a total of nine times in seven years – all with the same Chase card. 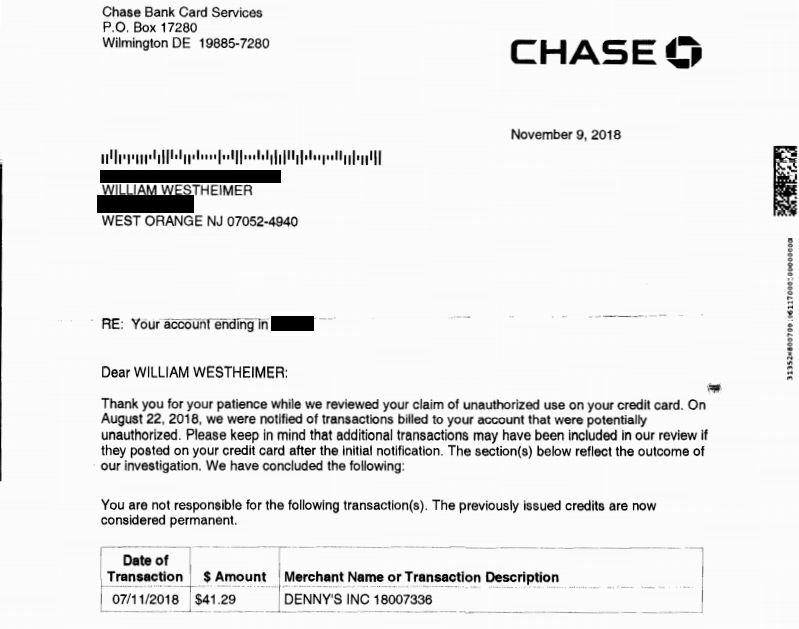 A year later – now on a new account number – a Lenovo laptop computer for $619.53 was delivered to the couple’s home and charged to their account. The same day, there was a $65.97 charge from a dating website. Then seven months later, the Westheimer’s latest account number was charged $691.72 and $199.68 for Time Warner cable bills. In 2018, someone bought $827.52 of furniture at an IKEA in College Park, MD, then there were charges for a meal at a Denny’s in California, followed by a charge of 5,640 Pesos – $283.39 – somewhere in Mexico. “They were making good use of the no foreign transaction feature of our card,” Bill Westheimer said. Westheimer said he had multiple conversations with Chase to better understand why the couple’s cards were hacked so often. He never got a satisfying answer, he said. 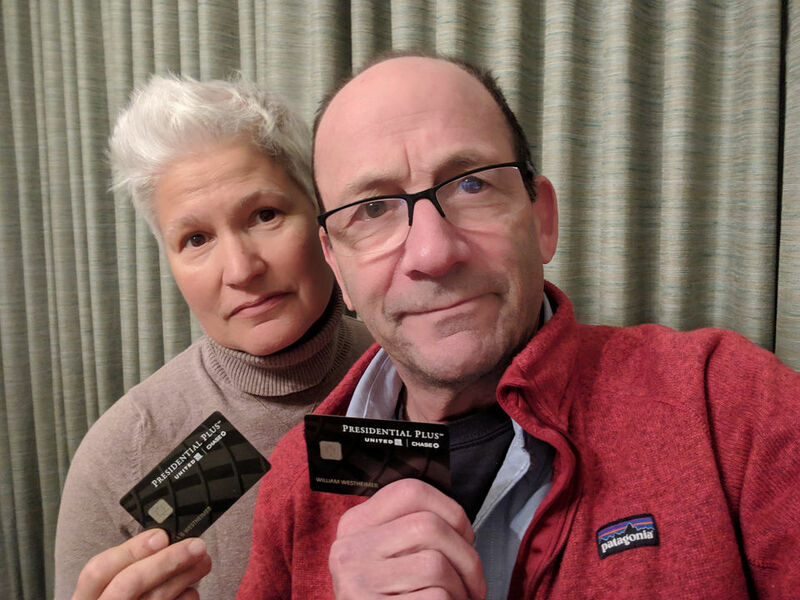 Even when he pointed out the number of times it’s happened with this one card – not his other Chase cards, or his American Express, or his CitiCard, or his TD Bank card – Chase simply said: “It’s just the way things are these days,” he said. That answer wasn’t good enough to Westheimer, so he took the question to two Chase supervisors. “I still get the happy-go-lucky response from them,” he said. 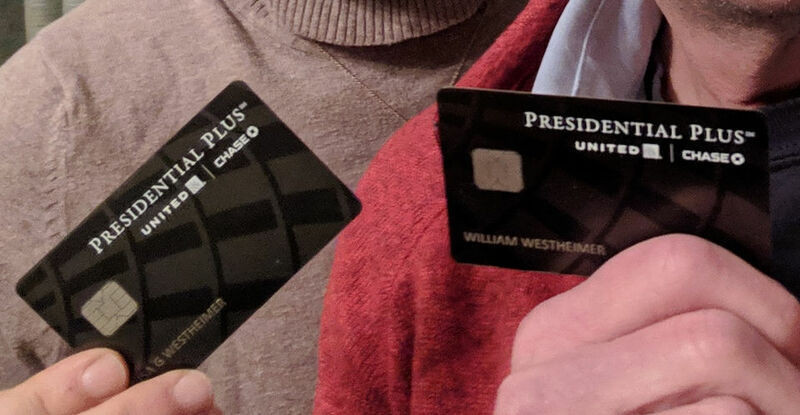 Westheimer said he has considered getting rid of the card, but he likes the benefits, which include airport lounge access, two free bags on all flights, occasional upgrades, no changes for foreign transaction fees. That didn’t ring any bells with the Chase representatives, either, the couple said. While we reached out to Chase for some insight into what’s happened with the couple’s cards, we looked a little closer at the couple’s experience. We asked if the card has a chip, you know, the technology that means you must insert the card into a credit card reader rather than swipe when you make a purchase. Their current cards do have chip, but earlier versions of the card – when the fraud problems started – didn’t, they said. Seeing that the fraud has ramped up recently, we started to look around. According to credit card industry watchers, in-person credit card fraud was cut down substantially with the widespread adoption of chip cards. But so called “card not-present” fraud – online and phone transactions where a card isn’t shown or inserted into a machine for the purchase – are on the rise, said Paul Stephens, director of policy and advocacy for Privacy Rights Clearinghouse. While it’s somewhat comforting to know consumers are not usually held responsible for fraudulent charges, it is frustrating. We asked if there’s anything a consumer can do. Then we thought of a creepy technology that you may have heard about: RFID readers. RFID stands for “radio frequency identification,” and this can be found in some new chip credit cards. Digital data stored in the cards can be read by RFID readers. For less than $100, people – or crooks – can buy RFID readers. These can actually read and store card numbers from cards that have RFID technology. Distances used by the readers vary, but even the ones that have to be close to work are scary. Someone could, in theory, wave the reader at your purse or back pocket when you’re not looking, and they could walk away with your credit card information. And then they can go shopping. How worried should you be about this kind of high-tech theft? But there are RFID readers that reportedly work from as far away as 25 feet. To see if your card has the RFID capability, look at your card. It should have a logo that looks like the standard Wi-Fi symbol, but placed horizontally. 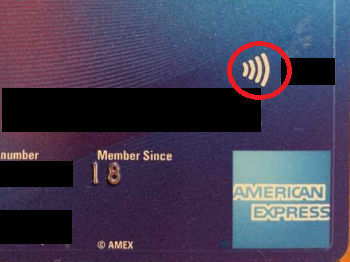 That symbol doesn’t appear on the Westheimer’s cards in question, so we guess that wasn’t the cause of their fraud. Also note consumers can purchase wallets and purses, and even back-pocket covers, that are armed with so-called RFID-blockers to foil any ne’er-do-wells with the reader technology. Chase came back to us with some commentary, but it wasn’t what we had hoped. First, it said it can’t disclose the number of cards it reissues each year because of security concerns. For the same reasons, it couldn’t discuss the specifics of the Westheimer complaint, it said. It did offer some tips about fraud, and well, because Chase had nothing else to add, we’ve decided to share that in full here. Use the chip on the card to make purchases whenever possible instead of swiping the magnetic stripe. Use credible websites and merchants when shopping online. When considering a new merchant, search online for reviews or complaints about them to ensure they are a reputable location. Go inside to pay at gas stations or use the pumps closest to the door. Crooks most often place skimming devices at the furthest gas pumps. Always keep the card in your possession. Sign new cards as soon as you get them. Do not give your card number over the phone unless you have initiated the call and know you are giving your number to. Do not respond to emails asking for your Social Security number or card information. Always go directly to the website on your own, do not use links provided in emails. That’s fine advice, but it isn’t anything we didn’t already know. The Westheimers weren’t exactly impressed with Chase’s response. They said they now use their Chase card much less than they used to. They no longer use it for recurring payments, and they accumulate fewer miles, they said. Bill Westheimer also doesn’t have a lot of faith in the fraud department, he said. The shot is fired over the bow. We’ll let you know if Chase chooses to respond any further. This entry was posted on January 26, 2019. Bookmark the permalink.